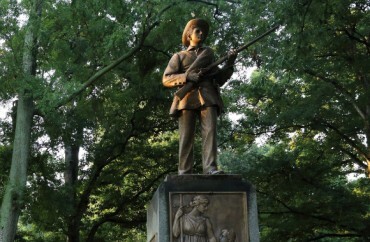 The University of North Carolina is promising to “use the full breadth of state and University processes to hold those responsible accountable” for toppling the “Silent Sam” statue Monday night. Protesters at the destruction of the Confederate war memorial included students and professors, according to news reports. They had been agitating for its destruction for years, but grew especially incensed after the administration said it couldn’t remove the 105-year-old statue because of state law. A letter claiming to represent 17 UNC professors threatened to remove the statue themselves this winter. It did not deny, however, that it issued general directions for campus police to leave alone the protesters as they plotted how to tear down the statue. The Daily Tar Heel reported the group of about 300 protesters hung banners around the statue, with no intervention by police, to hide the “ropes” they would soon use to yank hard and tear it down.